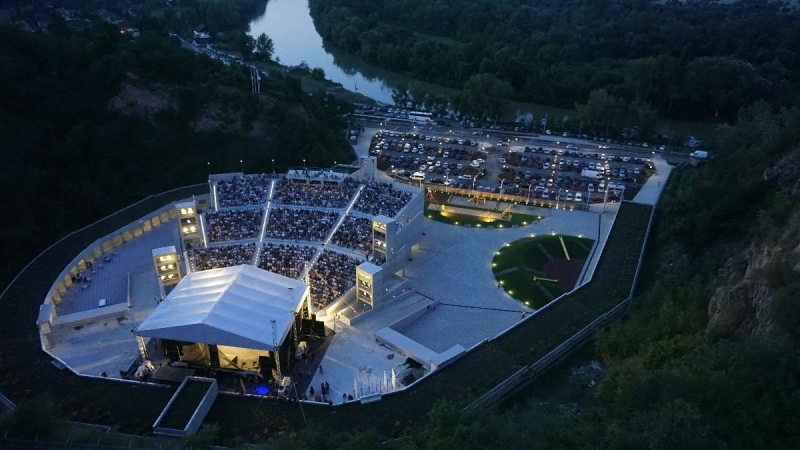 Tokaj Festival Valley is located on the riverbank of Bodrog on the territory of the former "horseshoe". The auditorium of the facility has nearly 2500 seats. Under the open air stage, which can be used from late spring until early autumn, can be found an exhibition and event space of 1000 square meters.